Scouting Notes: Myles Gaskin reminds me of a boxer(dog) I used to have that barely tipped 45 lbs, yet was willing to take on any and all comers she happened to come across, despite their often superior size. 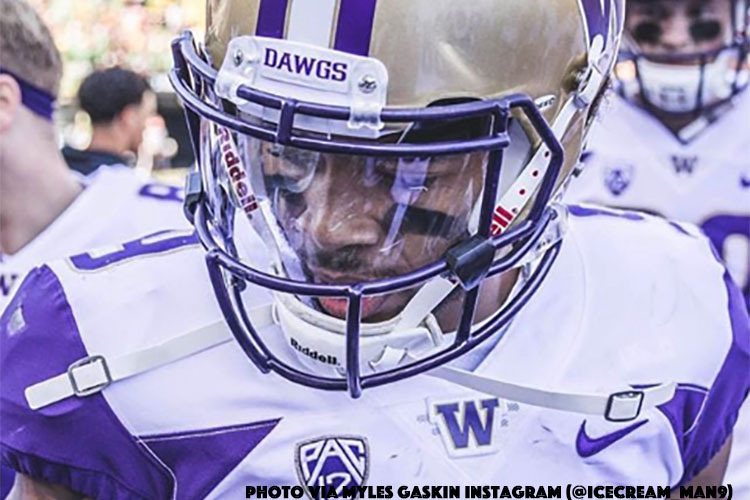 Gaskin is sub-195 lbs, and yet he’s served as a lead back, who specialized in pass-protection, at Washington over the last 4 years, topping 1,300 all-purpose yards every season. What Gaskin lacks in power, he makes up for with his superb on-field vision. He’s got an uncanny ability to see openings and cut to them. His lateral quickness allows him to adjust on a dime and get downfield in a hurry, even though he lacks a top second gear. Gaskin keeps his legs moving upon encountering contact, providing the illusion that he’s more imposing than he really is – It often tacks on a few extra yards. Gaskin’s hands are a question mark, as he’s called to block more than receive. 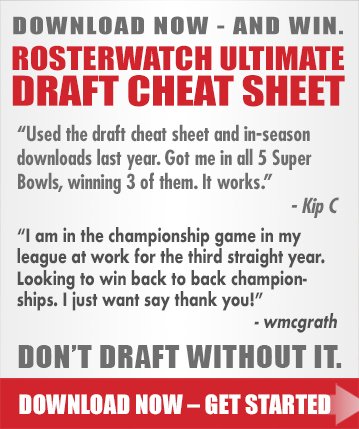 I have a feeling that will change in the NFL, where he profiles more as a committee back. Fantasy Outlook: Most pundits have Gaskin listed as a top-10 back in the upcoming draft, going somewhere between rounds 2 and 5. I don’t disagree. Gaskin’s production every year of his college career rivals that of any back in the draft. It’s actually this fact, he’s got a lot a of wear on the tires, and his relatively diminutive size that will keep him from ascending much higher. He’s not a special-teams player either, which would have helped his stock as a smallish back. Chances are that Gaskin won’t start out as a lead back in the NFL, though he could work his way into the position, a la Phillip Lindsay. It’s more likely that he’ll develop his receiving game and serve as a complimentary back to someone with more heft to them. Still, Gaskin has the ability to become a productive fantasy contributor in due time, and he’s a fine secondary target in dynasty formats. 2018: First player in Pac-12 history (and only the 10th in FBS) to rush for 1,000 in four seasons and just the second NCAA-FBS player ever to reach 1,200 yards in four straight (Ron Dayne of Wisconsin was the other) … finished UW career with numerous Husky records, including career rushing yards (5,323) and career touchdowns, both by rushing (57) and total (62) … 5,323 yards are third-most in Pac-12 history and more than 1,200 yards more than the next-closest Husky … 62 career TDs are 24 ahead of the next-closes Husky … 57 rush TDs are third-most in Pac-12 history … played in and started 12 out of 14 games, missing the Colorado and Cal games due to injury … became UW’s all-time leading rusher in the season-opener vs. Auburn, passing Napoleon Kaufman, who had held the record since 1994 … rushed for 75 yards on 17 carries vs. the Tigers to move into the top spot … against North Dakota, ran for 53 yards and a touchdown on 15 carries and also had a reception … tied the UW record for career 100-yard games with his 21st in the victory at Utah … rushed for 143 yards and a touchdown on 30 carries against the Utes … earned the UW coaches’ offensive player of the game award for the Utah game … 21 carries for 86 yards, plus two receptions for 23 yards, against Arizona State … rushed for 81 yards and a score, and also had a 10-yard reception, in the win over BYU … rushed for 116 yards and two touchdowns on 27 carries, and also caught four passes for 14 yards, in the UW win at UCLA … named the Husky coaches’ offensive player of the game for the UCLA victory … 69 yards on 15 carries at Oregon … sat out the Colorado and California games due to injury … returned to action in the Huskies’ win over Stanford, leading the Huskies with 28 carries for 148 yards and one touchdown … earned the UW coaches’ offensive player of the week for the Stanford game … posted the 24th 100-yard game of his career in the win over Oregon State, rushing for 135 yards and touchdown on 18 carries … had a 64-yard run in the OSU game and also caught four passes for 24 yards and a TD … scored three touchdowns in the Apple Cup, including one on an 80-yard run … finished the WSU game with 170 yards on 27 carries, earning the UW coaches’ offensive player of the game award … 71 rushing yards on 23 carries, plus three receptions, against Utah in the Pac-12 Championship Game … had his 27th and last 100-yard rushing game in the Rose Bowl, where he rushed for 121 yards and two touchdowns on 24 carries … also threw a two-yard touchdown pass, to Drew Sample, in the Rose Bowl – the only pass attempt of his career … won the team’s Most Outstanding Offensive Player award and the Apple Cup Play of the Game award at the UW postseason awards banquet.